New custom home in popular Rambling Meadows located on a private 1.36 AC lot at the end of the street. 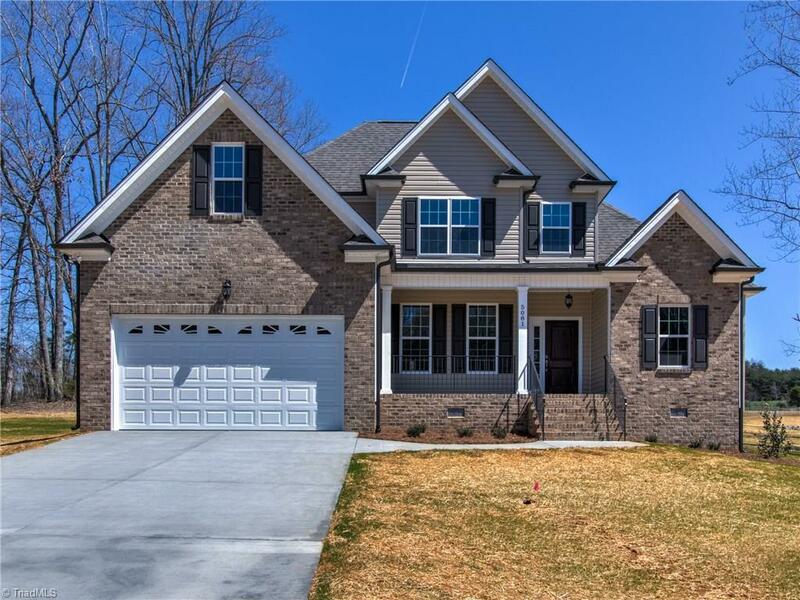 Wonderful floor plan w/ formal dining & spacious family rm w/ fireplace. Chef's kitchen features granite counter tops, Whirlpool stainless appliances, pantry and Espresso cabinets. Master on main. Private master bath with separate tiled shower and soaking tub, two vanities & huge walk in closet. Upstairs you'll find 2 bedrooms and large bonus room. Fireplace requires propane tank for gas. No HOA dues.